A few summers ago, I found this dill cucumber dip recipe while searching for the perfect appetizer for a summer party. I wanted to find an easy-to-make dip that was cool, crisp, refreshing, and absolutely delicious. This one definitely hits all the marks. 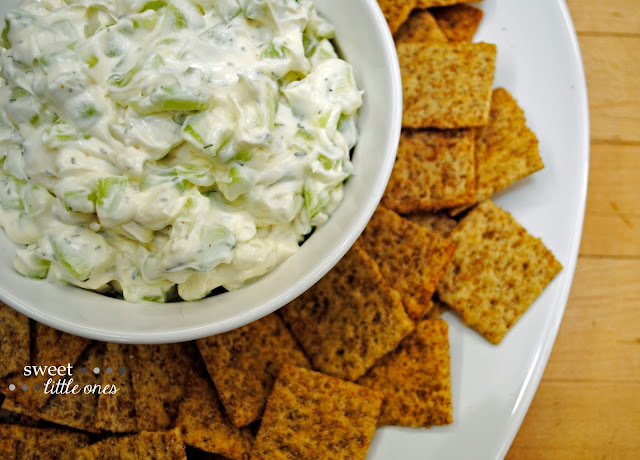 So when I served this dip to my family, it was instantly a hit! It has now become a summer favorite! 1. Wash and peel cucumbers. 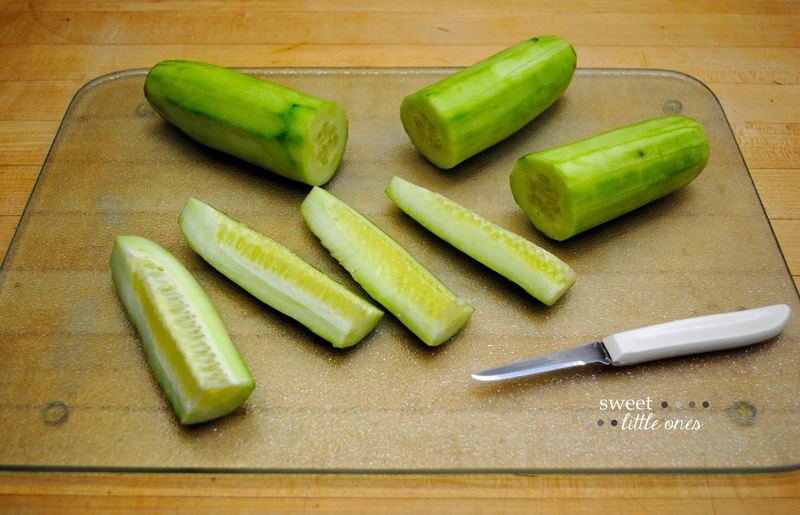 Cut cucumbers in half. 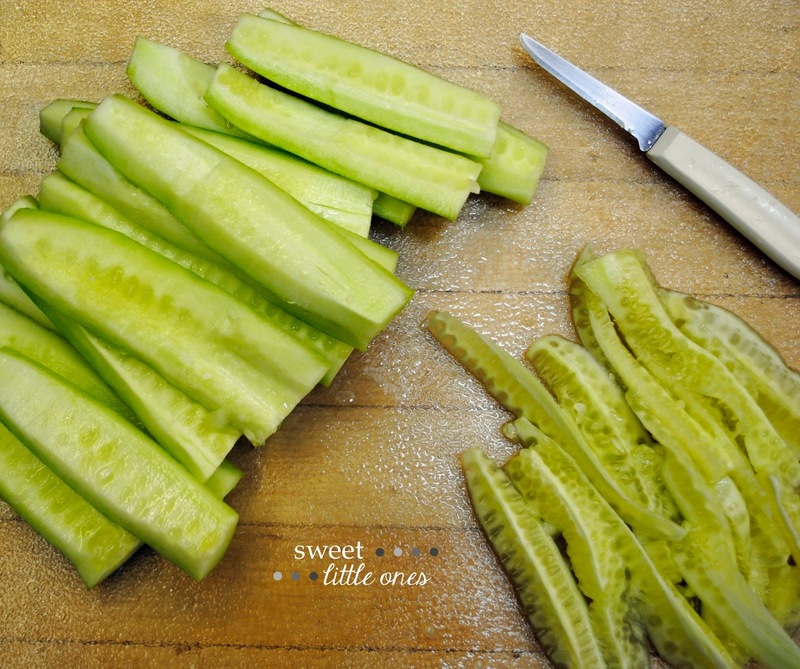 Then, slice each cucumber half lengthwise into quarters (see picture above). 2. Hold cucumber slice upright, and cut out seeds with a paring knife (see picture above). Once you have removed all of the seeds from the cucumber slices, chop into very small pieces. 3. Place all diced cucumber into a clean hand towel or several paper towels. Squeeze until no more water comes out. You will have to squeeze and change the towels more than once. Set aside. Do not skip this step or you will have a very watery dip after some time passes! 4. In a mixing bowl, beat cream cheese until smooth. 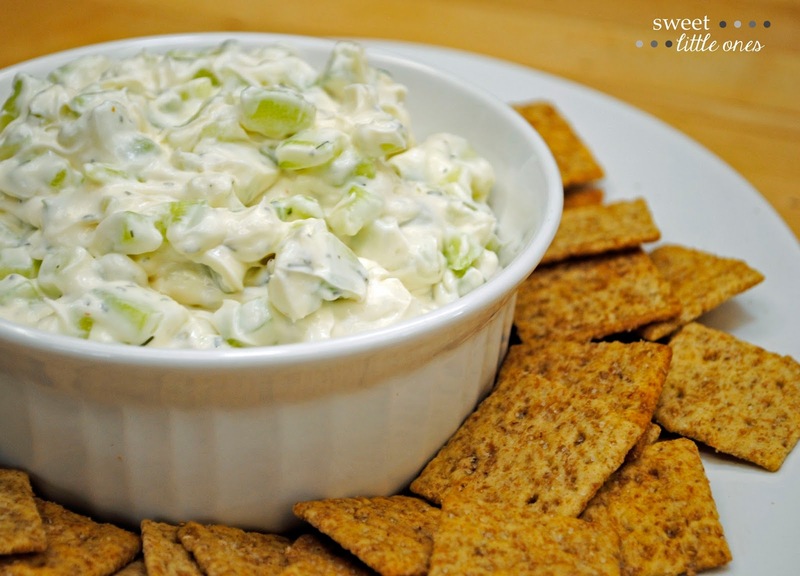 Stir in mayo, sour cream, lemon juice, dill, Cajun seasoning, and cucumbers. 5. Serve cold with wheat chips. This dill cucumber dip is a perfect appetizer for a game watch with friends, backyard barbeque, baby or wedding shower, or family picnic. It's something everyone will love! 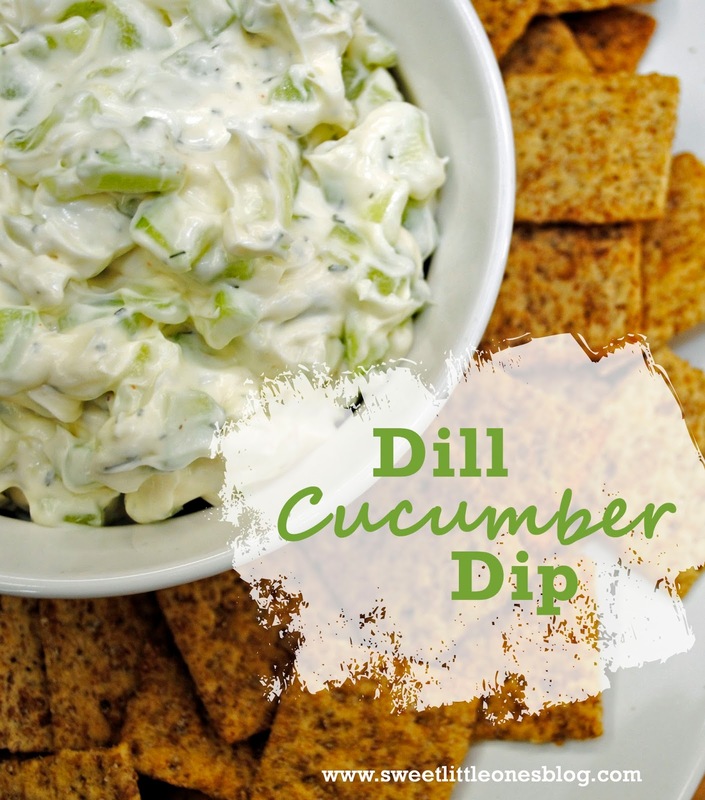 My husband LOVES cucumbers with ranch - I bet he'd really like this dip. Pinning to try soon!